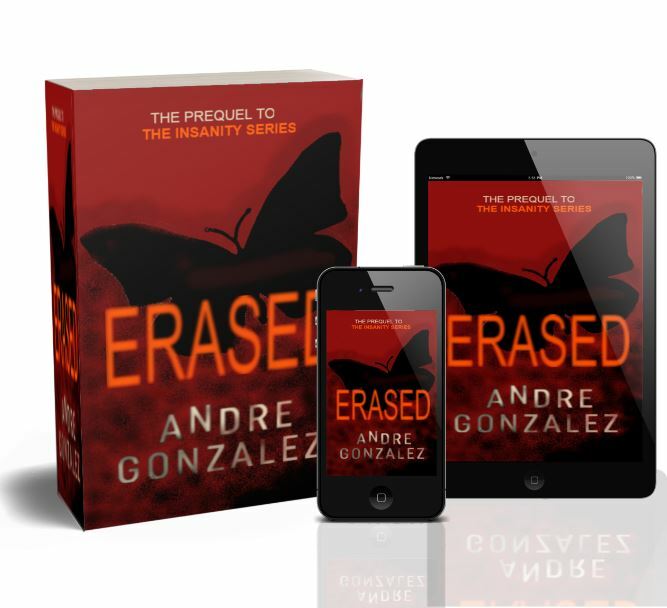 Sign up for the Andre Gonzalez mailing list and you'll get a copy of Erased and an exclusive look at Jeremy's complete notebook, including bonus pages never revealed in Insanity. What you won't get - any spam, ever! Get insane with Andre and Jeremy today! WELCOME ABOARD! YOU’VE SUCCESSFULLY SUBSCRIBED TO MY MAILING LIST. Your free bonuses will be emailed to you shortly, so check your inbox! *****Check your Spam or Promotions folder if you don't see the email in your main inbox! If you're ready to jump into the rest of the series, please see below! The time has come for Jeremy Heston to face the music for his violent actions. After changing the course of history, Jeremy's experiment moves forward to the next planned phase: the courtroom. What should be an easy case for the district attorney turns out to be an uphill battle. Behind the scenes, a mystery person sends secret money to Jeremy's parents to cover steep legal fees, delivers confidential information to the defense team, and attempts to rattle the jury. During the trial, Jeremy learns more about his personal state of mind than he had ever known. With the odds stacked against his life, all he can do is sit back and watch as strangers clash over his fate toward a dramatic outcome. When Jeremy Heston moves onto the next phase of his experiment, he believes everything is going as planned. He meets doctors interested in helping him recover, despite his belief that he is still in charge of his own fate. Once settled in to his new home, Jeremy receives a visit from an old friend and learns disturbing truths about the past. Devoted to escaping to a life of freedom, Jeremy dedicates every day to finding a way out, and even receives help from an unlikely companion. 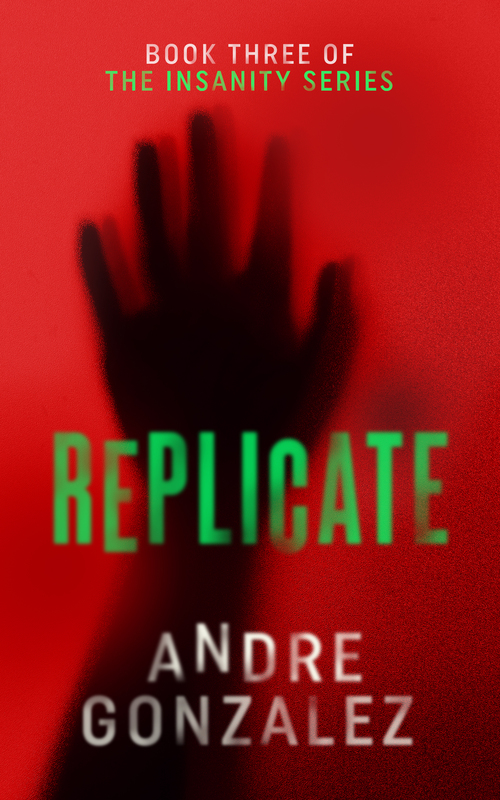 Filled with doubt about the effects of his experiment, Jeremy decides to test uncharted territory by moving to the final step of any good psychological experiment: replication. 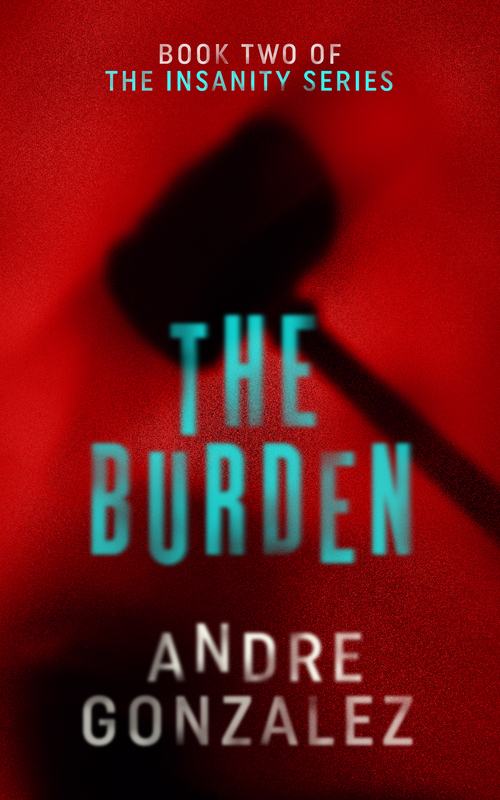 Join Jeremy in this dramatic finale as the effects of the experiment are unraveled one day at a time.